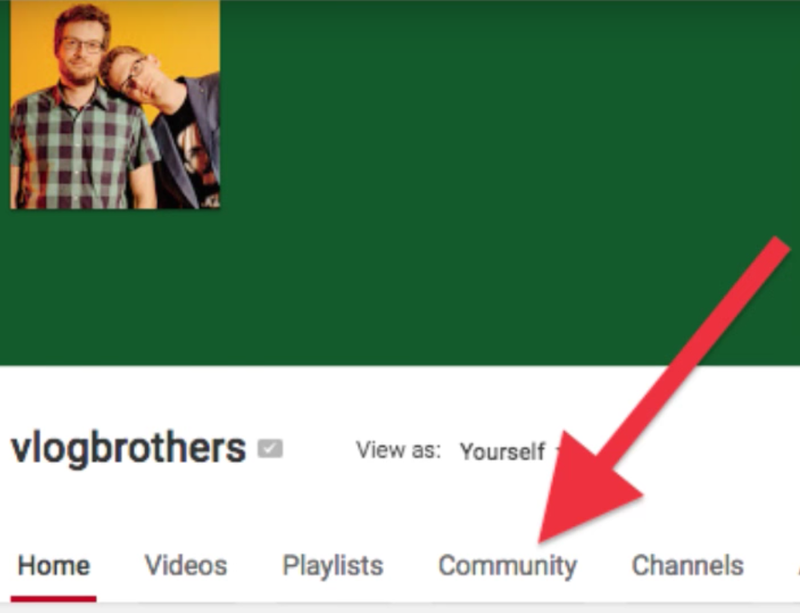 Youtube had previously added a “Community” tab for some popular channels, they are now broadening the feature to 12 YouTube channels and to possibly all channels in the coming months. Channels include the Green brothers, The Game Theorists, Karmin, The Key of Awesome, The Kloons, Lilly Singh, Peter Hollens, Rosianna Halse Rojas, Sam Tsui, ThreadBanger, AsapSCIENCE, and VSauce3. Despite YouTube’s push to be more of a passive TV like platform, Green says that “in spite of it all youtube has continued to be a community platform” and with Community tab launch it shows they have finally embraced it. It’s interesting that with the virtual demise of Google Plus, their open attempt to compete as a social platform with Facebook and others, Google all along had one of the most popular social platforms on the planet, YouTube. According to Alexa, YouTube is the second most visited site in the world. YouTube is bigger than any cable network in the US and its growth has been accelerating “up at least 50% year over year for three straight years.” In fact, the number of people watching YouTube per day is up 40% year over year since March 2014. Over 80% of YouTube views are from outside of the US with 88 country versions covering 76 different languages, which includes almost everybody. The time people spend watching YouTube videos is also up, with mobile viewing average sessions now over 40 minutes which is up 50% year over year. Clearly, Google is using YouTube to counter its number one online ad revenue competitor, Facebook. After all, Facebook itself has made YouTube its number one competitor by focusing its energies on video. In June, a Facebook executive openly said that Facebook would be all video in 5 years. The Community Tab lets channels post text, images, live videos, surveys and let’s people comment and communicate just like a social media platform should. You can sign up to get notifications and many more features are said to be coming soon. Facebook Launches Blueprint Certification, New Credentials for Digital Advertising Professionals.